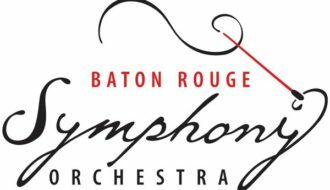 Kenneth B. Klaus was a composer, conductor, and musicologist in Baton Rouge during the twentieth century. The composer, violinist, conductor, and musicologist Kenneth Blanchard Klaus was born on November 11, 1923, in Earlville, Iowa. From 1950 until his death on August 4, 1980, he was a member of the faculty of the School of Music of Louisiana State University. He also served as principal viola and associate conductor of the Baton Rouge Symphony Orchestra. Klaus attended the University of Iowa as a violin major, but his undergraduate years were interrupted by World War II. After serving as a meteorologist in the Army Air Corps during the war, Klaus resumed his schooling at the University of Iowa, where in rapid succession he received his BA in violin, MA in violin and viola, MFA in music theory and composition, and PhD in musicology and composition. He studied violin and viola with Imre Waldbauer, Egon Kenton, Cecil Burleigh, Louis Krasner, Otto Jelenek, and Arnold Small. His composition teacher was Philip Greeley Clapp, a pupil of Richard Strauss, and he studied music history with the distinguished musicologist Albert Luper. As a composer he became fascinated with twelve-tone serial technique because of his friendship with Béla Rosza, a composer and pupil of Arnold Schoenberg. Klaus was also highly influenced through score study of the music of Schoenberg’s two famous students, Alban Berg and Anton von Webern. Serial procedures pervade most of Klaus’s own compositions. His works were primarily for orchestral instruments or entire orchestra; later in his career he wrote several songs for solo voice and piano as well as solo voice and string quartet. Klaus enjoyed writing poetry, and some of his songs feature his own serial poetry. Klaus’s serial poetry begins with one word or syllable and proceeds through twelve lines, the last containing twelve words or syllables. The poem then reverses itself line by line. His most frequently performed songs are a set of three German jokes entitled “Lustiges Deutsch.” He also wrote three one-act operas and a few pieces of choral music, five of which are settings of poetry by Percy Bysshe Shelley. Klaus’s instrumental music includes five numbered symphonies; several shorter orchestral works; concertos for clarinet, piano, cello, violin, flute, percussion, horn, and bassoon; numerous works for various chamber ensembles; sonatas or other works for violin, horn, oboe, viola, and clarinet with piano accompaniment; unaccompanied sonatas or suites for violin and clarinet; some short piano pieces; and chorale preludes for organ. As a music historian, Klaus authored The Romantic Period in Music (1978), a graduate-level music history textbook, and contributed numerous journal articles and book reviews. He was a frequent lecturer. He also encouraged his students to explore Louisiana topics for their theses. Kenneth B. Klaus died on August 4, 1980. Klaus, Kenneth S. "Kenneth Blanchard Klaus." In https://64parishes.org Encyclopedia of Louisiana, edited by David Johnson. Louisiana Endowment for the Humanities, 2010–. Article published January 31, 2013. https://64parishes.org/entry/kenneth-blanchard-klaus. Klaus, Kenneth Blanchard. The Romantic Period in Music. New York: Allyn and Bacon, 1970.